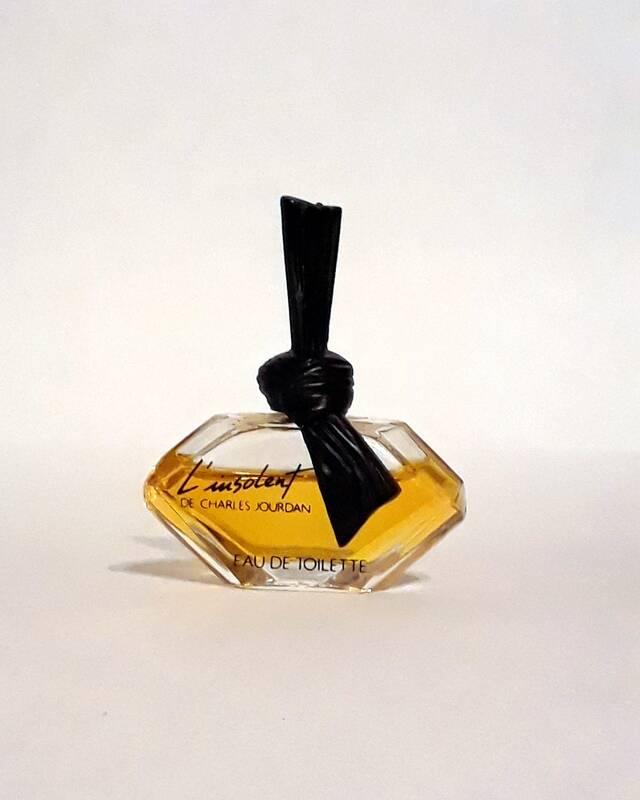 Vintage 1980s L'Insolent by Charles Jourdan 0.125 oz Eau de Parfum Splash Mini Miniature Perfume. 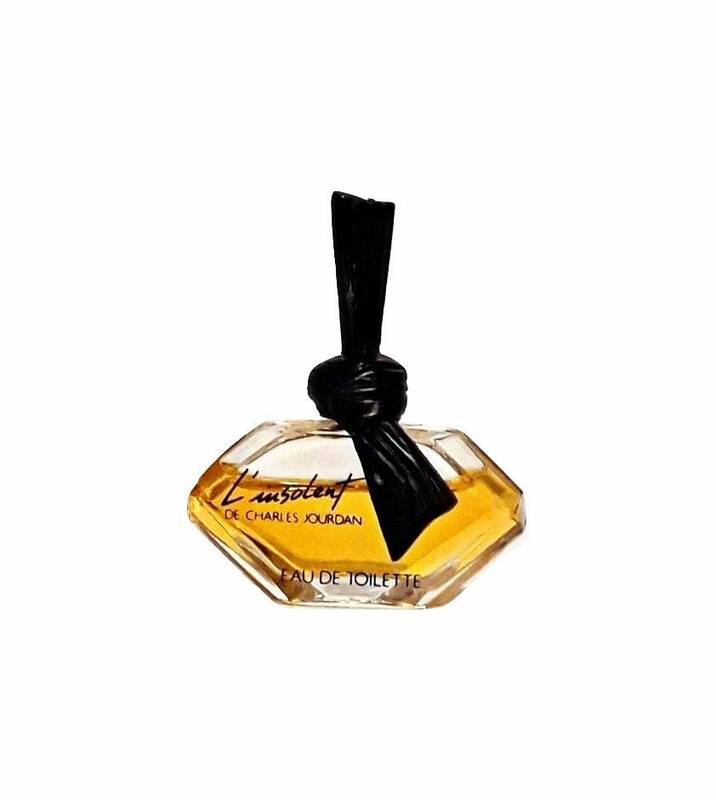 Lunched in 1986, it is classified as a floral woody oriental fragrance for women. It begins with a fresh, fruity top, followed by an exotic floral heart, resting on a sweet, woody, powdery base. This has been discontinued for quite some time.